One of the wisest things parents can do today is throw out the television altogether, except for watching educational programs and perhaps some carefully selected movies, and the selection of the latter will be slim indeed. 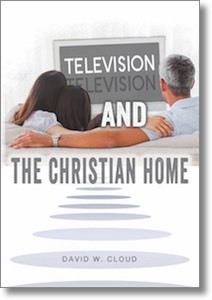 Here is practical wisdom on television and the christian home. PDF version is 67 pages. Print book available, see below.